With all the fake solar eclipse viewing glasses flooding the market, what is the safest way to view solar eclipse directly? Here is what NASA has to say and a list of vendors who are certified to manufacture these glasses. Even if you have these special viewing glasses, is it safe? These special solar eclipse viewing glasses are meant to filter out majority of the light. So when you put them on, they should look like a total blackout filter. For this reason, it may be difficult to keep these glasses on youngsters who are impatient to wait for the eclipse. NASA’s advice for viewing with these glasses is : “Stand still and cover your eyes with your eclipse glasses or solar viewer before looking up at the bright sun. After looking at the sun, turn away and remove your filter — do not remove it while looking at the sun”. Is the solar eclipse especially harmful to the eyes? Viewing the solar eclipse is no more harmful than staring at the sun on any regular days. Due to the partial eclipse, the sun may not seem as bright. But the harmful radiations can still reach the retina causing a solar burn that can cause permanent visual damage..
How about just some good old fashion fun? If you have not gotten viewing glasses yet, or have youngsters who just will not keep these glasses on, no worries! 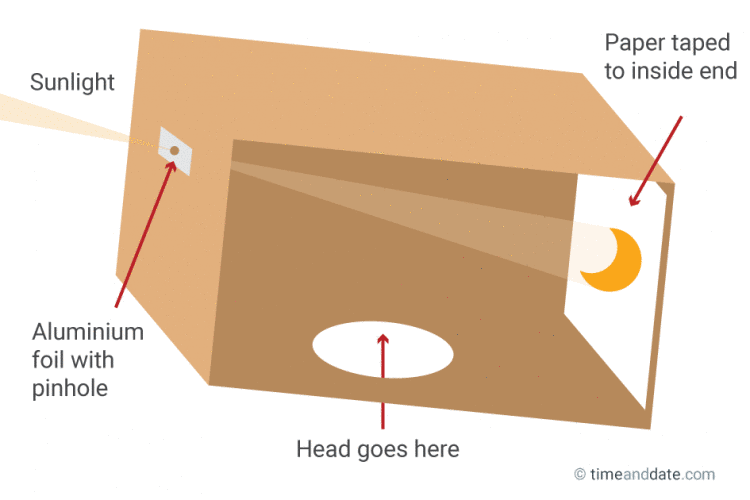 Try making a pinhole projector like this one. 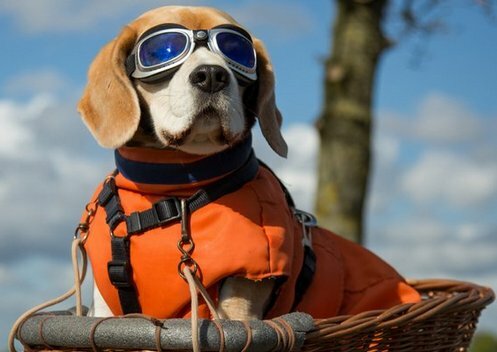 It is definitely the safest way to view solar eclipse. 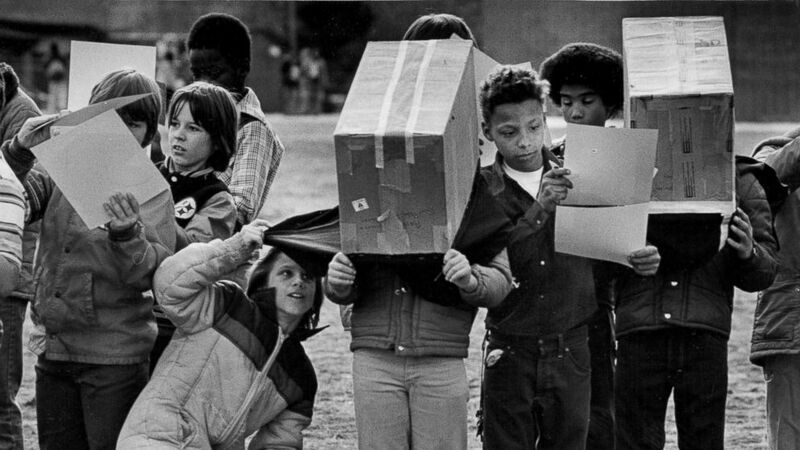 And which kid (or kid-at-heart) would not want to walk around with a giant box over their heads, pretend they are robots, and see this awesome phenomenon! 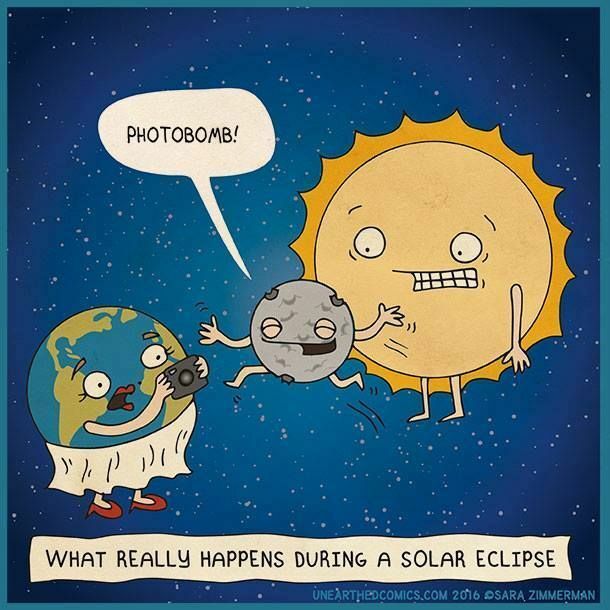 Protect your eyes and have fun viewing the solar eclipse! Don't missed the Solar Eclipse 8/21 and come get your solar eclipse viewing glasses with purchase! 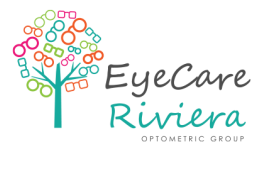 Bring you the latest news in eye care and local family fun!